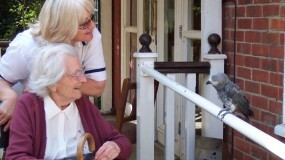 Welcome to St. George’s Nursing Home and Home Care in Milford-on-Sea, near Lymington on the south coast which has been providing health care services to the local community in the New Forest area of Hampshire for over 80 years. Specialising in care for the elderly, our experienced team of qualified nurses, friendly carers and support staff are able to offer the highest local standards of nursing care. St. George’s Nursing Home -Where a higher ratio of qualified nursing staff are able to ensure the very best 24-hour nursing care in a comfortable residential environment. 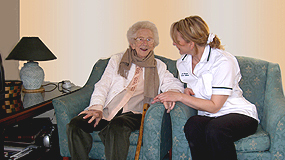 St. George’s Home Care – A highly experienced team of Carers are always available to help provide maximum independence in your own home. 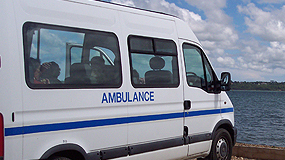 St. George’s Ambulances – Offering safe transport for the elderly including wheelchair facilities.